I have just spent a sunny Saturday afternoon down at Kenyon Hall Farm near Winwick just off Junction 22 of the M6. They held what was billed as a Vintage Craft Fair & Family Fun Day. As a keen, amateur cook I am a regular user of their fine local produce. On this particular occasion a bursting car park, donkey rides, bouncy castles and fairground slides allied to an unusual weather pattern (it was sunny!) made for a very different visit to the norm. 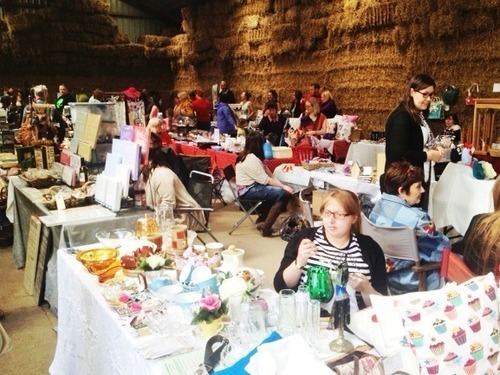 The vintage craft fair was held in the barn behind the brick built farm shop and cafe. The barn was walled with real hay! As well as the obligatory ‘Keep Calm…… Signs’ the fair featured lots of different stalls selling jewellery, books, ceramics, wood crafts and more. My particalur favourite was the local beer stall featuring fine examples from Tatton Brewery and George Wright. A snifter of Tatton’s Blonde helped to quench a simmering thirst. 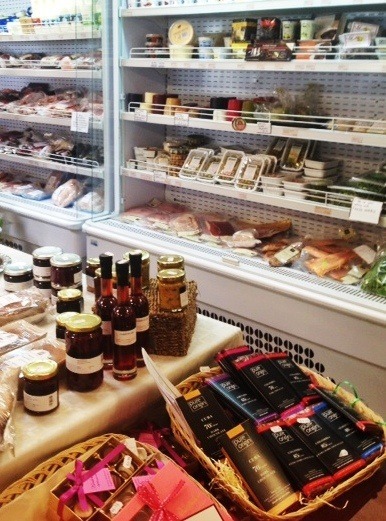 The real star of any trip to Kenyon Hall Farm is the colourful array of verdant fruit, vegetables and herbs. 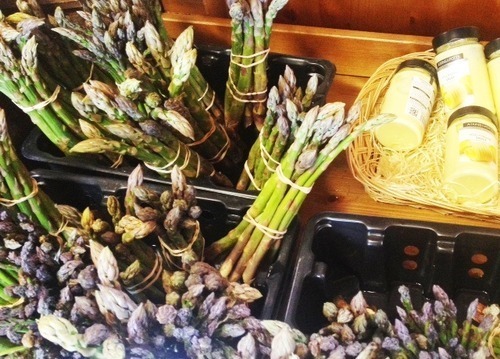 Being June, local asparagus dominates the entrance to the well stocked farm shop. A colourful flash of fruit and vegetables creates a tantalising barrier between the shop and the cafe. The cafe serves hot and cold food using much of the produce that the farm itself creates. Being a special weekend the kitchen staff all had painted faces! It looked to me like everyone was having a good time and judging by the queues, the tills were ringing nicely. For me, the asparagus was the best buy along with the new Cheshire potatoes. They helped form an experimental Roquefort and asparagus tart all washed down with a bottle of Blonde! Another special weekend is planned for the end of June. I would say get down there and make sure your larder is empty. You’ll be kicking yourself if you’d just done the weekly shop at Tescburys!